Diversified Machine Systems produces high-quality CNC machinery designed for a variety of industries such as aerospace, thermoforming, composites, woodworking, foam, and more. 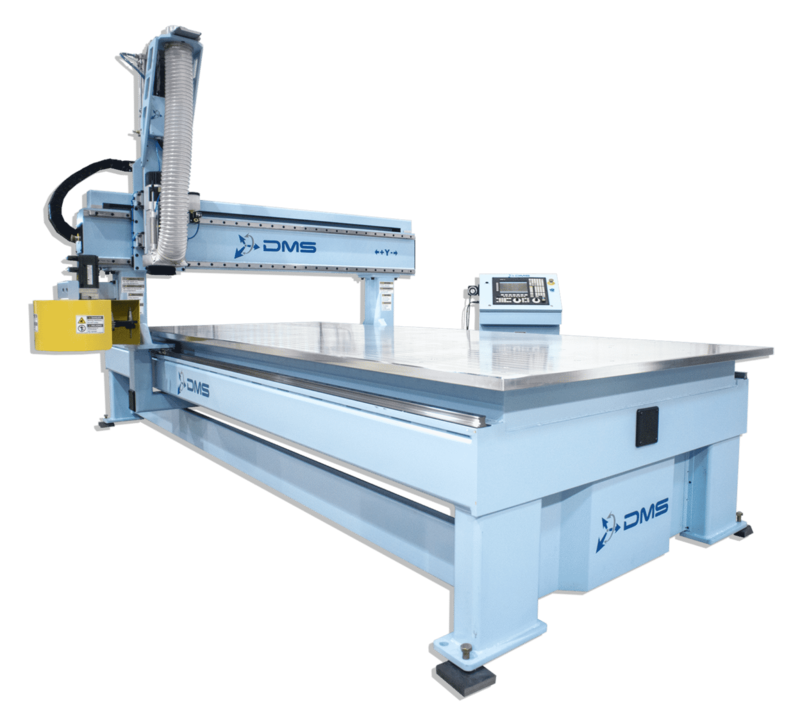 We offer a line of 3 Axis and 5 Axis CNC machines. Our routers are available in Single Moving Table, Twin Moving Table, Moving Gantry and Overhead Gantry configurations. All machines come standard with all-steel frames, installation & training, comprehensive tech support, and a limited factory warranty. Diversified Machine Systems has raised the bar for customer service with our dedicated support staff, the in-house Advanced Manufacturing Center, our international service capabilities, and innovative solutions focused on improving productivity and creating value. Every CNC Machine is produced at our factory in Colorado Springs, CO utilizing the latest technology to ensure quality. Our machines are built using North American steel and every frame is welded in-house. Then the frame is stress-relieved and machined on a custom CNC Router we designed, to ensure that the finish meets the strictest of standards. Your machine is then assembled to your particular specifications, and then it's tested & checked for quality before leaving the factory floor. Every machine is then installed by a certified technician and checked again on-site to verify the accuracy.